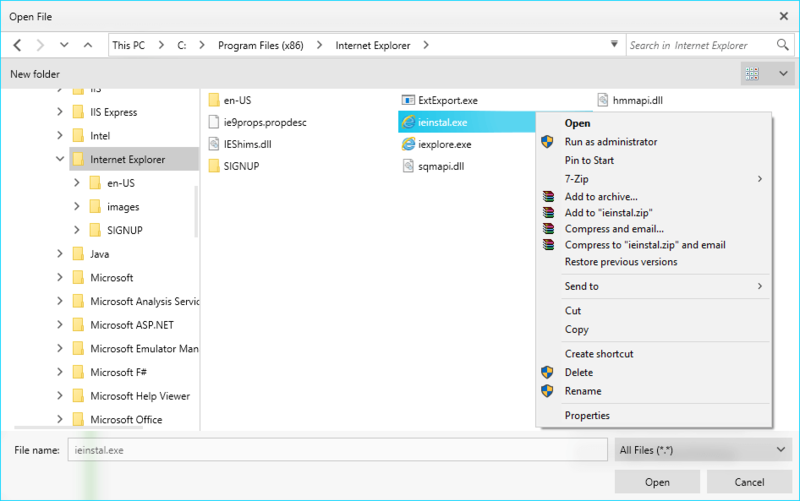 This articles shows the features shared between all file dialogs controls - RadOpenFileDialog, RadSaveFileDialog, RadOpenFolderDialog and ExplorerControl . All the dialog controls expose a InitialDirectory property that determines the directory that will be opened when the dialog shows. 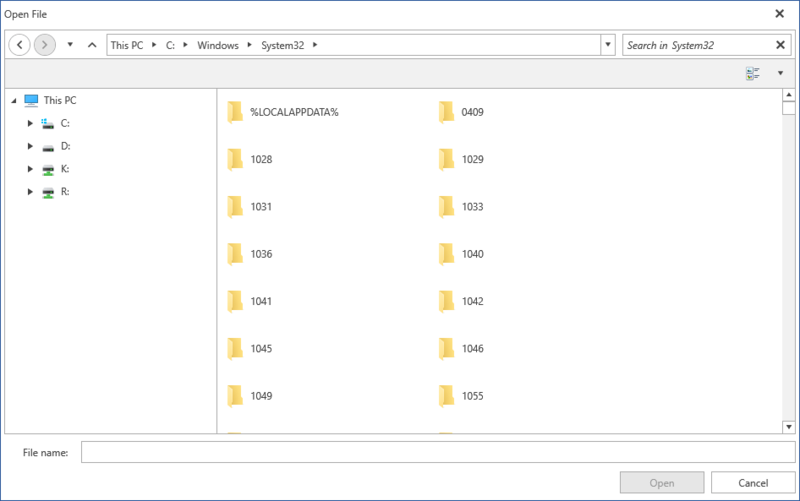 Since R1 2018, you can add a new folder in all the dialog controls with the New Folder button. The created folder enters edit mode in all Layout View Modes. As of R1 2018 RadFileDialogs has a ContextMenu. The well-known ContextMenu used in Windows is used for this purpose. It is available for the RadListBox, RadTreeView and RadGridView components used in the Main Pane. 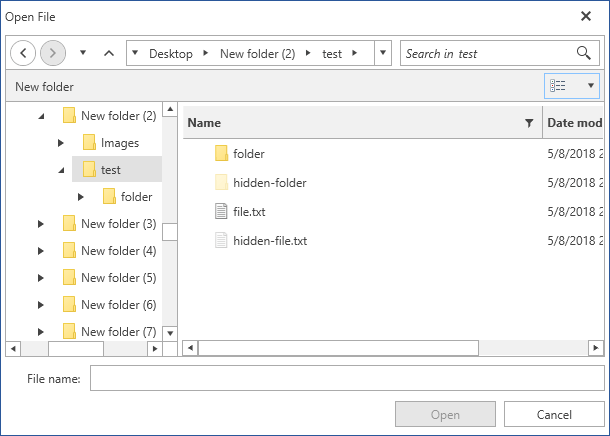 By default the main pane with the files/folders and the navigation tree are synced and when you navigate through the folders the selection in the tree navigation pane will also be updated. To disable this you can set the ExpandToCurrentDirectory property of the dialog to False. When enabled the automatic expanding always synchronizes the files/folders list with the navigation tree. If you want to sync them only on load of the control, you can skip setting the property initially and then subscribe to the Loaded event of the dialog. In the event handler you can set the ExpandToCurrentDirectory property to False. By default the file dialogs don't show hidden files and folders. To show them you can set the ShowHiddenFiles property of the corresponding file dialog control to True.